Boy, do I love camping. One of the very first things Ryan (the hubs) and I did when we first met was hit Cape Hatteras for some beach camping. And what goes along perfectly with camping? Making S'mores! Along with my strong love for Nutella, I would say my affection for marshmallows is pretty high up there as well. Nothing is more fun than roasting a marshmallow (or charring it like I usually do) over a campfire and assembling that little graham sandwich of goodness. So in honor of that I decided to make these cute little guys. I started with a chocolate cupcake and did a marshmallow frosting and topped with some Hershey and graham cracker. Take one bite of this cupcake and it screams S'mores. And what's better than that? 1. Line muffin pan with paper liners and heat oven to 350 degrees. 2. In a large bowl, stir together sugar, flour, cocoa, baking powder, baking soda and salt. 3. Add the eggs,milk, oil, and vanilla. Beat on medium speed for one minute. 5. Fill liners 2/3 full with the batter. 7. Cool completely before you frost. About 1 hour. 1. In a large heatproof bowl, combine egg whites, sugar, corn syrup, cream of tartar and salt. 2. Set bowl over, but not touching, simmering water in a saucepan. Heat the mixture until sugar has dissolved and the mixture is very warm. (160 degrees) Takes about 3 minutes. 4. Remove bowl from the saucepan and beat on med-high speed about 2 minutes. 6. Mix on low speed and them add vanilla. 7. 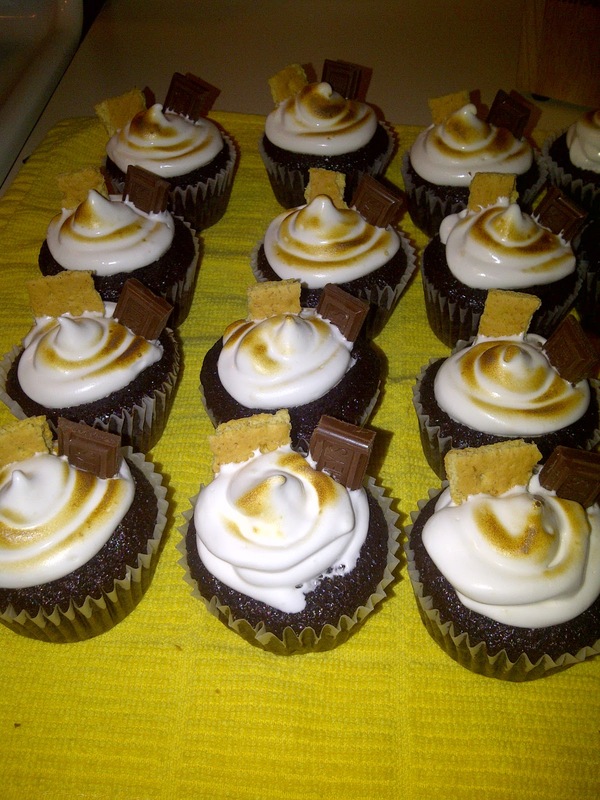 Continue beating on low seed until the mallows have melted and the frosting has cooled. (3-5 minutes). To assemble your cupcake, frost cool cupcakes. If desired, use a kitchen torch to brown the frosting. 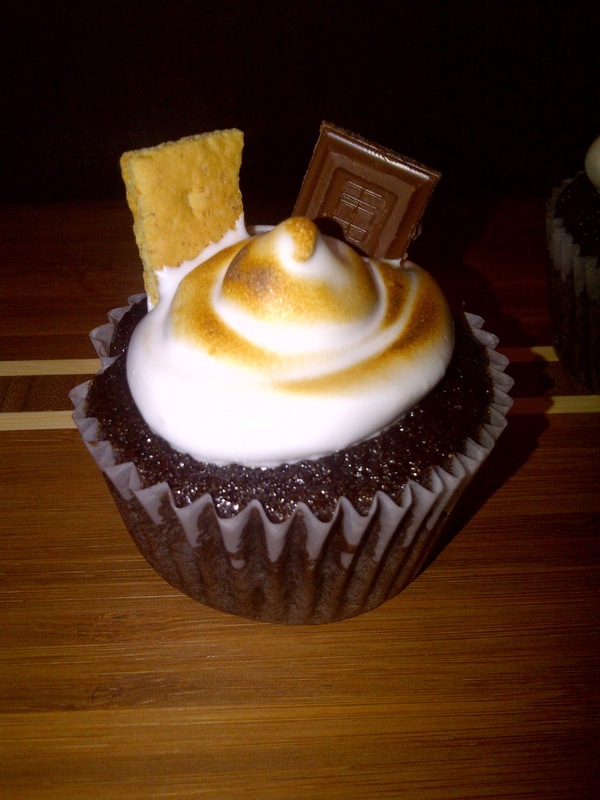 I HIGHLY recommend this because it really gives the cupcake that S'mores appearance. After you torch the frosting, add a piece of Hershey's chocolate and a piece of graham cracker. Justyn saw these and couldn't believe how yummy they looked! I wanted one soooooo sooooo bad!